The civil war in Syria took a dramatic turn when evidence surfaced that the Syrian regime had used chemical weapons against civilians. President Barack Obama, who had previously warned against any use of chemical weapons, responded by planning to order military strikes against Syrian targets. Some members of Congress demanded that the president seek approval from the legislative branch before initiating any US involvement in the Syrian conflict. Obama, who insisted that he had the authority to order military action, then decided to put the issue before Congress. Debate over “war powers” was front and center until a proposal by Russia opened up a possible diplomatic solution. Although the discussion died down, it is certain to resume if the Syrian government fails to cooperate with the international community. The debate over war powers often centers around the War Powers Resolution of 1973. This resolution spells out the conditions under which a president must seek authorization from Congress to use military force. Passed during the Vietnam War era, the resolution marked an attempt by Congress to take back the constitutional warmaking powers it had ceded to the executive through measures like the Tonkin Gulf Resolution. While the Constitution clearly gives Congress the power to declare war, it vests the executive with command of the armed forces—and hence priority in national security affairs. The crux of the debate concerns when, if ever, a president can engage in warmaking without specific congressional authorization. The resolution spells out conditions, but they have been subject to differing interpretations by the executive and legislative branches, and by different presidents. Obama himself seems to have a different understanding as president than he did when he was a presidential candidate. The last time the United States actually declared war was in 1941, after the Japanese attack on Pearl Harbor. In US history since the passage of the War Powers Resolution America’s armed forces have been committed to military action a number of times, including Grenada (1983), Panama (1989), Iraq and Kuwait (1991), Somalia (1992), Serbia and Kosovo (1999), Afghanistan (2001), Iraq (2003), and Libya (2011). Will Syria join that list? This article reviews the recent history of the use of warmaking powers since passage of the Vietnam-era War Powers Resolution. This article surveys the differences in “expert” opinion on the exercise of war powers in regard to Syria. This article discusses how the crisis over Syria has put the issue of war powers back on the agenda in Washington. This analysis of press coverage of the debate over possible US military intervention in Syria points out biases both for and against the use of American force abroad. The U.S. is starting to shut down because for over 200 years now, we’ve been depending on a government “experimentation”. An experiment is all the government is and when you have someone like Obama who comes in and tries to adjust things majorly, the government needs time to think. Unfortunately, the government has not opened back up yet, meaning they’re still deciding on what to do about the Obamacare act. So, basically, it’s like knocking down a row of dominoes. I think we should leave the Syrian people alone and let them be. We shouldn’t be getting in other people business. Why should we fight using the big stick diplomacy when we could just not pay attention to them. Obama shouldn’t have the right to just go into war. Why start another war? Last war was during the pearl harbor attack. We shouldn’t use war against every problem there is. Obama was using big stick diplomacy. Exec. branch needs to seek leg. branch before action, so power would be balanced, and things will be more thoroughly thought through. I think if syria continues the way it is, that the U.S. may need to use the big stick diplomacy.A war may happen. The president should avoid dollar diplomacy, considering the U.S is already in debt. The style of diplomacy that is being used is Big stick diplomacy because Barack Obama responded by planning to order military strikes against Syrian targets. So according to this he is using force based on his power. I think that the executive branch should not engage without first seeking the approval of the legislative branch. If Syria fails to fulfill their promise to the international community I think that the president should use the Big Stick Diplomacy because the president is the leader and he should be strict. Although by using that policy the U.S could go into deeper issues with Syria. The style of diplomacy that is being used is the “Big Stick” diplomacy.therefore if and when the U.S. needs to take action with militia they can do so. I think that if the Executive Branch wants to engage in warmaking decisions without the the Legislative Branch’s approval they can do so they are looking out for inoccient peopel. I think this because if we need to be definded for are freedom we need to fight for it and noot sit back and wait. If syria fails to keep there promise id want the president to use the “Big Stick” diplomacy because thats a problem and it needs to be taken care of before it gets serious.the results of this action will most likely be warfare do to the fact the have missles and are willing to use them and threat us with them. I would want the president to avoid the moral diplomacy because that is based on his beliefs and syria is not gonna care about that. OMG that is so cool! I used to serve pie and coffee at those very tlbeas!! Really, he should have had the pizza though, it’s the local favorite! What a cool guy though. Despite the terrible stress of his job that he can just chat with the locals and make everyone else’s day! I just wish more people would be nice back in Washington! president obama was using the “big stick diplomacy”. president obama should have to engage with the legislative brnach. he should because the law was passed in 1973 that he must. if syria doesnt fulfill their promises we should try to avoid the dollar diplomacy. we should avoid the dollar diplomacy becuase it was their promise, they should pay their consequences. the typ of diplomacy that obama is using is the “big stick”. not only are we thinking about declaring war apon Syria, but they are threatening to build and attack us with nuclear weapons. However, the executive branch should be able to engage in warmaking without seeking the Legislative branche’s approval. i say this because weveryone has a side to the story, and an opinion they would like to0 share. if Syria lies to the international community then the “big stick” policy should be used. we have tried to be the good guy for too long and if we continue to be a pushover then there could be sirious consequences. not only are we giving them time to build weapons but we are also giving them time to figure out a plan of attack. we should have never waited and fixed a problem that could ultimatly send our nation into nuclear war. not only would that give us as a nation serious wounds to mend, but it could also give other countries opportunities to invade. Obama is using the moral style of dipolmacy. I do not think that the Executive Branch should be able to engage in warmaking without seeking the Legislative Branch because then not everyone will agree and it will cause conflict I would advise the President to take the Big Stick dipolmacy because it is powerful. The President should avoid Dollar dipolmacy because Syria might not be able to pay us back because of the ecomony. I think Obama was using “Big Stick Diplomacy” because he was ready to order military action immediately. I don’t think the Executive Branch should be able to engage in warmaking without seeking the Legislative Branch’s approvel, I think they should have to have an agreement, and Congress is the figure that funds the money for military affairs. If Syria was to fail to fulfill their promises to the international community, I would advise the president to use “Big Stick Diplomacy” because Syria would have broke their promise on the matter of not using chemical weapons on civilians. I would want the president to avoid the “Dollar Diplomacy” because money should not be the controlling factor in our relationships with other countries. the style of diplomacy obama was using was the moral diplomacy. the executive branch should not engage in warmaking. the type of diplomacy obama should avoid is the dollar diplomacy, because if he lent money to syria they could use the money to plan a nuclear attack on america. The type of diplomacy president Obama was using was the Big Stick diplomacy. yes only if there is no time to spear and waste time if the enemy is about to attack us and we are not ready. If Syria fails to fulfill their promises the president should use part of the Dollar diplomacy and and the Big Stick diplomacy. A result of these actions could be the U.S. control things in Syria. the president should avoid moral diplomacy. So far it appears that Obama is using the maoral diplomacy to handle the situation. He is going about bieng involved based “war powers” and how wrong it is for Syrian regime to use chemical weapons agaisnt their own civilians. Due to the Legeslative branch that can delcare war and fund the attack Obama should go through Congress before sending in the millitary, also backing this is the constitution that gives congress the power to declare war. If Syria does not cooperate with the moral doplomacy, the big stick diplomacy may come to effect. to me the presdent is trying to use big stick dimplomacy by trying to restrict others countrys and reinforce it by backing it up with the military, but even thou the constatution states that he has control over the military he now has to seek aproval? the presedent is the commandor and chief and should be allowed to act as so. i plan on inlisting in the united states air force and i want to be lead by a presdent who can act quickly and strinly in any order and not have to wait for some big room of money and power crazy men. I think Obama was using Big Stick Diplomacy. The Executive Branch should not be able to engage in waramaking without seeking the Legislative Branch approval, Because they both should come together with a solutuin they both like. No branch should make any desions without consulting the others. I would advise the prsident to take Moral Diplomacy, he should do what he think is right and best for his country. I would want the President to avoid Big Stick Diplomacy, because it could start a war and i think their is already enough of that today. The style of diplomacy that Obama was using is Big Stick Diplomacy. No, the Executive Branch should not be able to engage in warmaking without seekng the Legislative Branch’s approval because the other country had promised not to use nuclear weapons and such and then they break the promise? Not really a good idea to promise something and then break it beacuse there are consequences if you break something. So I advice President Barack Obama to send his military group and defend the civilians. He could avoid the Moral Diplomacy. This style of diplomacy would be the “Big Stick Diplomacy” because president Obama tole syria to not enforce chemical weapons.Syria ignored this proposal causing Obama to overlook congress and handle the situation himself.I believe Obama should have got the congress approval before taking actions in his own hand.In our country we opperate through checks and balances, so why did he take actions with out legislative approval? I understand that Obama wants to protect our country and i would want the president to avoid moral diplomacy because many dangerous things happen and you have to be ready to face them at any circumstances. I believe President Obama was showing an example of Moral Diplomacy. He knows right from wrong and what is wrong is that Syria is using chemical weapons on their own people. the US is getting involved for the sole purpose of helping out their fellow man. I believe that if the situation called for immidiate action or retaliation that the Executive Branch should not have to wait for the Legislative Branch’s approval for war. If syria were to fail to keep their promises to the international community then President Obama should use Big Stick Diplomacy, he should use force to influence Syria to stop with their civil war, this action however may lead to a bigger problem such as a war between the U.S and its allies against Syria and theirs. The president should avoid Dollar Diplomacy, bribing Syria with money could lead to bigger, more severe problems such as Syria purchasing more weapons, more soldiers, or even more allies. Its very obvious what diplomacy style Obama was using. 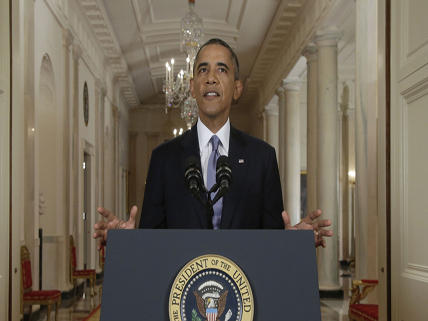 it clearly states that President Barack Obama, responded by planning to order military strikes against Syrian targets. Personally i think i think that they should be able to only because i feel as if the executive branch are just as intelligent as the legislative and i feel this way because the people that choose the people of these branches only choose people that they feel will benefit us. Now with the situation of Syria failing to fulfill there promises then the the diplomacy style will change to Woodrow Wilson’s Moral Diplomacy, but i would want our president to avoid using the Theodore Roosevelt Big Stick diplomacy only because it would only start a bigger war. Right now he using Moral Diplomacy. I think he should be able to because he is the head of our country. I think he should use the Moral Diplomacy and Big stick Diplomacy because he giving them the opportunity and if they mess it up he should step in with the Big Stick Diplomacy. I think Obama was using the Big Stick because President Obama can take the military and do whatever he wants with them.It all depends on how can they control the situation also because , last time the US declared war was in 1941 and President Obama seems like he trust his military to take action and without getting the Legislative’s approval. I think President Obama should avoid the Dollar Diplomacy , Why? Because we don’t need to be getting loans because the US is already in depth and doesn’t need to be in more depth. The type of diplomacy Obama is using is the Big Stick Diplomacy because it mentions “president must seek authorization from Congress to use military force” and the Big Stick involves using force and the president is thinking about using force. No the Executive Branch should not engage in war-making without the Legislative Branch because the all three branches and the president to make a decision all together.the president alone cannot decide by himself he needs the approval of the three branches.If Syria where to not keep their promise the president and the three branches might use the Big Stick Diplomacy or the Moral Diplomacy.I would want the president to avoid the Dollar Diplomacy because they would be using money and resources to persuade people. I think Obama was using the Big Stick style of diplomacy by the way he was trying to abuse his power. I also think the Executive Branch should seek the legislative branch’s approval be for making that big discussion because it doesn’t just effect him but it effects us all. Every one should have an equal say in things like this. The president was using a moral diplomacy because it was his view of right or wrong. yes because the goverment gave him that power so i think he should be able to use his power because he can set the laws.The style of diplomacy i think the president should use is the big stick diplomacy because he should use force and be able to negotiate when it comes to making laws.This would make him more powerful i think and to take take a stand for what he does.The style of diplomacy the president should avoid is the dollar diplomacy because he shouldnt use his money to influence he need to have everyone attention with out it. he would justbe persuading the people. I think that he can do that, because the passage says, “evidence surfaced that the Syrian regime had used chemical weapons against civilians. 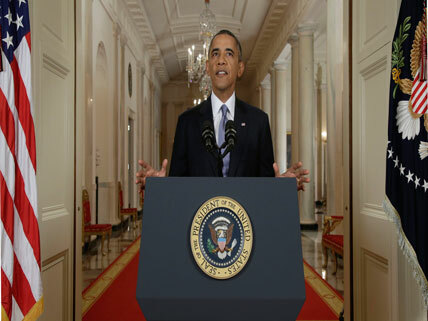 President Barack Obama, who had previously warned against any use of chemical weapons”. Basically he already warned then if you use chemical weapons against civilians that he will do something to protect those civilians. I think he used The Big Stick diplomacy,because he did say that. It was basically a negotiation. In some ways it’s moral deplomacy because Mr.Obama has morals to treat people the same! Bell. The style of diplomacy that Obama is using here is familiar to the Big Stick Diplomacy. He threats to attack Syria because of their use of chemical weapons. He uses force and his power to influence negotiations. I do not think that the Executive Brand should be aloud to engage in warmaking without the Legislative Branch’s approval. It is too much power for one person to be in charge of. It needs to be approved by more people. If the president makes a bad decision in what war to go into it can put the entire country in danger. If Syria fails to fulfill their promises I think the president should either use Big Stick Diplomacy or Dollar Diplomacy. I think that would have the biggest impact on Syria. He should avoid Moral Diplomacy because I do not think that that would make a big difference in the situation. I think that Obama is using the Teddy Roosevelt: Big Stick Democracy. The article stated “Obama, who insisted that he had the authority to order military action,…” gives the clue that he is using the Big Stick Democracy. No I don’t think the Executive Branch should be able to engage in war making without seeking the Legislative Branch’s approval because of the quote “One can’t decide without the other”. Meaning Obama needs to discuss with others before taking any serious action against Syria without trying to figure out the consequences will come if he decided to use the military for war purposes. If Syria decides to not keep their promise, I advise Obama to still continue to do the Big Stick Democracy. If Syria doesn’t keep their end of the bargain, there’s no other way than try to beat Syria to show “Who’s Boss”. Obama is using the big stick diplomacy style.I think that the president should be able to use this diplomacy because if there comes a case were we are invaded unexpectedly the president should have the right to say if the army/military should go in war to save us.And obama is working hard to make this here united states a wonderful place.To me this is like my mother and me.She feeds me, helps me, encourages me, cares for me, and loves me, but if i were to ever disrespect her in any certrain way she has the right to (as mom says) beat the disrespect out of me and take back the position of a leader and respected person that she is. I think Obama was using the big stick diplomacy because he had to resort to military force. I think the type of diplomacy Obama used is The Big Stick Diplomacy. I honestly think that Obama should ask permission and discuss what he’s trying to do with the Legislative Branch, to make sure whatever he has planned go as planned and work out. They should conversate about the decision that he makes because there may be something wrong with it. If Syria fails to fulfill their promises to the international community then I think Obama should use Moral Diplomacy because it may or may not work. But atleat we’re both happy and not fighting one another. I think President Obama should avoid using the Dollar Diplomacy because we’re already in deep debt. he was using big stick diplomacy andi i think the consecutive branch should seek the legislatives approval. Obama was planning to use the Big Stick Diplomacy. No, the executive branch should not be able to engage in warmaking without apporval form the legislative branch because all choices made that can effect America should be apporved through all branches. Syria is part of the middle east, which is big on religion. If Syria fails to fulfill their promises to the international community, I believe that the president should use the Moral Diplomacy, because since Syria is big on religion, and you use persuasion through their valuse, they’re more likely to listen and agree, then they are if you were to force them, or bribe them with money. The type of style Obama was using was The Big Stick Diplomacy. I don’t think that The Executive Branch should engage in warmaking without seeking the Legislative Branch’s approval because the congress made a law that the president should come to them and get approval before sending out the military which would be Moral Diplomacy.If Syria fails to fulfill their promises, I think the president should use the Big Stick Diplomacy and that may keep Syria under control. Obama should avoid using the Dollar Diplomacy because bribery doesn’t always work with other countries. Obama was using the ‘Big Stick Diplomacy’. No, because they should have to go through the Legislative branch to make any decisions. Obama should stay away from the Bribery diplomacy because you don’t want to bribe them with anything. Obama is using the big stick diplomacy. I think that the Executive Branch should be able to engage in warmaking without seeking the Legislative Branch’s approval because the President is the Commander and Cheif of the military so it should be his call. I would advise the President to take the Big Stick Diplomacy and avoid the Dollar Diplomacy. Obama was using big stick diplomacy and i do not think that he should be able to declare war because of the law passed in 1973.